In this instalment of A Chat with… I’m joined at Books, Films and Random Lunacy H.Q. by Eisner Award winning comic book artist Freddie E Williams II for a “Turtle-y Awesome” interview. GB: Hey Freddie, thanks for taking the time to have a chat with me today. With the eagerly anticipated second volume just around the corner, what better place to start than with ‘Batman/TMNT’? How cool is it to be teaming up with writer James Tynion IV again and heading back to Gotham City via NYC? FEWII: Super cool! I wish we could do this book forever! Both James and I are very excited to be able to return with volume 2, we had so much in mind from the last series, and it is great to explore several themes we couldn’t fit in the first time around! We’re both really excited and feel lucky we’re getting to do this sequel, and I hope there are 4 more sequels after this! GB: Just between you, me and the Internet, are there any cool pizza-flavoured tid-bits you can share from ‘Batman/TMNT volume 2’? GB: Let’s wind the clock back to late 2015 when ‘Batman/TMNT volume 1’ was released. I, like countless other fanboys and fangirls across the globe was fit to burst with geeky glee when I read the heroes in a half shell would be teaming up with the caped crusader. I was expecting something nostalgic and pulpy, a shell-raising thrill-ride through Gotham City in the Batmobile. But the mini-series was so much more than that. As well as those fun, light-hearted elements, the story had a harder, gritty edge to it and a cinematic layout that made for a stunning visual narrative. Was it always your intention to give the book such atmospheric depth or was that something that happened organically as the book took shape? FEWII: First off, thank you, I appreciate that – my goal was to do the best I could do – to pour ALL I am artistically into Batman/TMNT. It was to connect with how much I love those original Eastman / Laird Turtles issues, and the grittiness of Gotham City, and the heavy atmospheres of Batman and his rogue’s gallery. 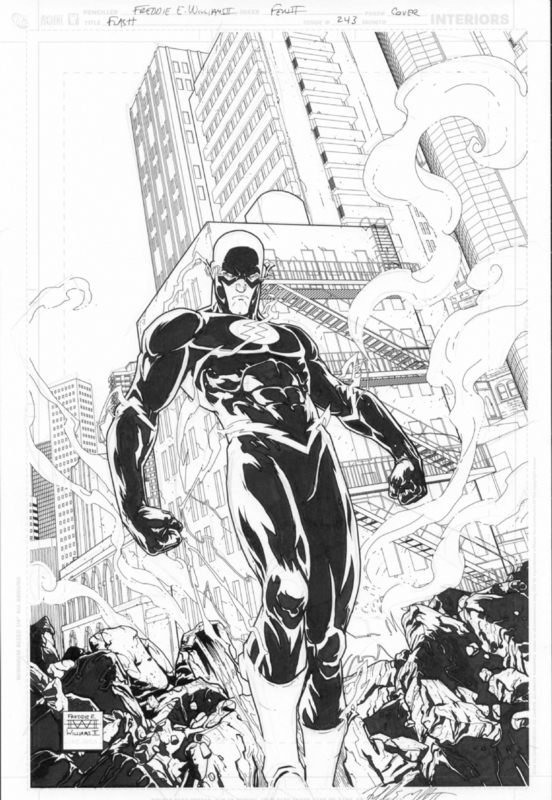 This was the first series I’ve illustrated in the laborious Ink Wash style, and it was a challenge to keep up that level of detail, especially compared to my previous much less detailed rendering styles, on books like Robin and the Flash but my love and passion for the characters kept me going, into the late morning deadlines. I just wanted it to be the best thing I’ve ever drawn. GB: Another mini-series you’ve recently Illustrated is ‘He-Man/ThunderCats’. Could you tell us how that action-packed and unapologetically 80s crossover came about? FEWII: About the time I was wrapping up issue 5 of Batman/TMNT volume 1, I sent an email to my DC Editor’s asking if they had another project in the works with me in mind, then listed a few IP’s that I would love to work on. In that email I mentioned, if they were looking to do reboot of ThunderCats, or especially a crossover with He-Man and the ThunderCats, that I’d be VERY excited to be apart of it! I had no idea, but around that same time, DC was in talks with Mattel, about a possible crossover, and then it all clicked together – it’s hard for me to believe my luck – wow! GB: With the huge popularity of ‘He-Man/ThunderCats’ and ‘Batman/TMNT’, you could easily be crowned the King of Crossovers at the moment. What in your opinion is the key to creating a good crossover title? FEWII: Am I the king of Crossovers? I’d love to be thought of with that title, that’d be awesome! Something to note here is that I usually pride myself on keeping characters “on model” and checking reference to be sure costume details are correct. I’m usually successful at that, but a HUGE exception, where I screwed up, is at the end of ‘HeMan/ThunderCats’, issue 1, on the final page, I referenced the WRONG version of the Ancient Spirits of Evil, drawing the 2011 versions, instead of the classic cartoon Ancient Spirits of Evil! Do’h, totally my mistake! We fixed it in the second printing of issue1, and for the collected trade paperback, but I feel like a dork for messing that up! GB: Another comic book you’ve worked on recently was ‘Jonas Quantum,’ a series written by Marc Guggenheim who also has a not-so-secret identity as a TV producer/screenwriter It’s documented that the character of Jonas was Marc’s brainchild, but how much input did you have on the book in regard to world building and plot. FEWII: Jonas Quantum is the only creator owned book I’ve worked on in more than 10 years, and collaborating with Marc is fantastic, he’s got high concepts flying around all over the place and very open to suggestions / input! My main contributions are visual, which was a lot of fun Kirby kind of gadgets, big fight scenes, and trying to visualize the abstract and fantastic ideas Marc would come up with. Unfortunately Jonas Quantum got completely overshadowed by the announcement of Batman/TMNT, so not many people have gotten a chance to read it, but I had a great time working with Marc, and would love to do so again! GB: Let’s talk about your How-To book, ‘The DC Comics Guide to Digitally Drawing Comics,’ could you tell us how that project was conceived and your writing process for it? FEWII: Before I even broke in at DC Comics (which was late 2005) I was putting together the pitch / how to project, that would later become “The DC Comics Guide to Digitally Drawing Comics”. Originally I was going to pitch the book to publishers (along with Adobe) myself, just to gauge interest. Then in mid 2006, when DC Comics offered me an exclusive contract, it prompted me to ask about the how to pitch. I was asking if I would be free to publish that work with another publisher – or if that would somehow be blocked by the exclusive. They are different kinds of work, drawing comics vs writing a how to book, but there would be comic book art in the how to book, which is an uncomfortable overlap, and I didn’t want there to be a conflict. When I brought this up, the legal guy at DC, said “why don’t we publish it here?” And that hadn’t even occurred to me! Of course I had several of their how to books already, and they are great, so I was happy for mine to be apart of that family of books! I showed them the pitch, and travelled to New York (where DC Comics was located at the time) to give them a demonstration. All of that went well, and the book got a green light. 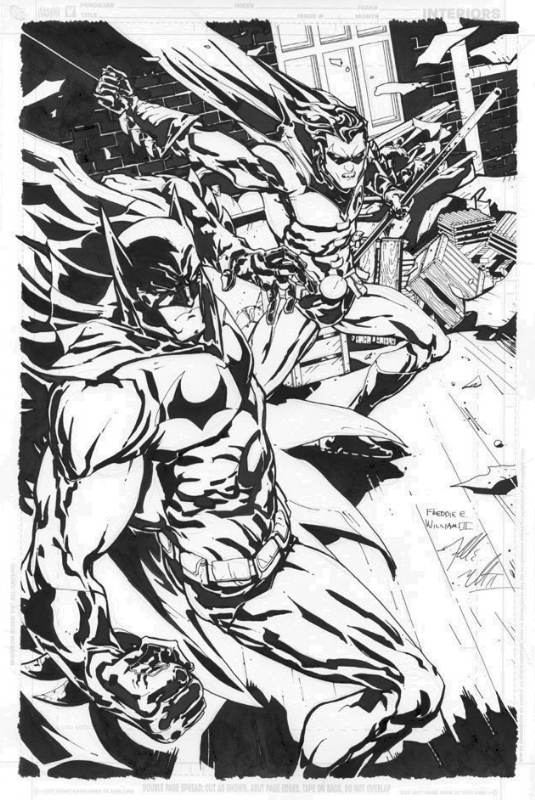 I was really lucky to have John Morgan as my editor on The DC Comics Guide to Digitally Drawing Comics, he was a HUGE help focusing the book, and giving it a more ordered formatting. We’re still friends all these years later! 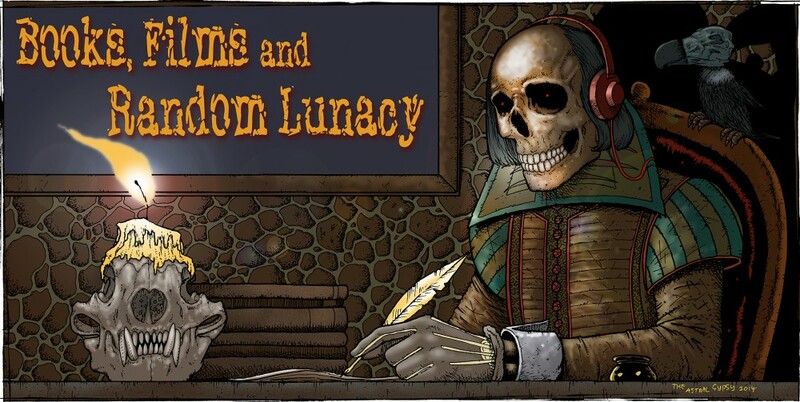 GB: People can quite often accuse artists like yourself who mainly draw digitally of cheating, just because they don’t create all their work with pen and paper, but nobody ever seems to accuse authors of the same when they write their novels using computers instead of quill and ink. What are your thoughts on this debate? FEWII: Everyone is entitled to their own opinion, I’m cool with people thinking what they think. GB: One of your first big breaks in mainstream comics came in 2005, when you began illustrating ‘Seven Soldiers: Mister Miracle’ written by Grant Morrison. Were you nervous about working with such an iconic writer so early in your career with DC or could you not wait to sink your teeth into the opportunity? FEWII: Whoooo boy, was I ever nervous! Everything about it made me nervous, my first work at DC Comics, the tight deadline: I had 3 weeks to draw 30 pages (6 pages in issue 2, 24 pages of issue 3), though in a much simpler style… I was working at Hallmark Cards full time, it was during the holidays, and I was working from a script by the legendary Grant Morrison, I was a wreck! I’m glad I was working with the amazing colorist Dave McCaig, he really saved me on those pages! GB: You’ve worked for both Marvel and DC on many projects over the years, are there any major differences between how the two comics leviathans operate creatively? FEWII: The vast majority of the working relationship comes down to how the Editor operates, no matter the company. I’ve been really lucky to work with amazing Editors, Peter Tomasi (before he became a writing juggernaut), Mike Carlin, Joan Hilty, Mike Marts, Jim Chadwick, just to name a few. All create unique work environments, I owe my career to all of them. Because I’ve always been very deadline focused and I stay in contact with the team frequently, and I understand the chain of command, where I will give input and try for what I think is the best creative choice, but I understand they have ultimate say in all matters, my Editorial experiences are healthy and friendly. GB: You’re an award-winning artist, an adept world-builder and we know from your How-To book that you’re also a skilled author. Do you have any plans to start scripting comics in the future? FEWII: I’ve written a couple short stories, but I don’t know if I have the chops to script a full series or an on-going – I bury myself in the construction of the motivations of the characters, and make things to big for myself… I think I’m pretty good at co-plotting with other writers, and good at picking things apart and contributing to pacing, and I enjoy those things, so I think I’ll stick with that for now. GB: Do you have any other creative ambitions that you are yet to explore either inside or outside of the comics industry? FEWII: All I’ve ever wanted to do is draw comic books. Occasionally it’s fun to see my work on a shirt, or a Blu Ray cover, or on a poster or something like that – but I just want to draw comics for the rest of my life. It’s all I’ve ever wanted to do. Batman/TMNT 2 issue #1 is out on 6 December and issue #2 is released two weeks later on 20 December.